Ford and Lyft have announced that they have teamed up to bring autonomous cars into the mainstream. Ford says that its tie up with Lyft is a significant step in bringing self-driving cars to the masses. The goal of the partnership is to bring affordable, dependable, and accessible transportation to the future. Ford says that eventually a person needing a ride during a period of high-demand will be able to use the Lyft app to have a car dispatched quickly to get the person where they need to go. Ford says that it and Lyft will be working together to answer some big questions that impact the autonomous future. One question is how to connect a partner platform like Lyft to dispatch a self-driving vehicle. Ford and Lyft also want to determine what cities to work with to deliver the autonomous driving future. The duo also want to figure out how to support and maintain a fleet of self-driving vehicles. 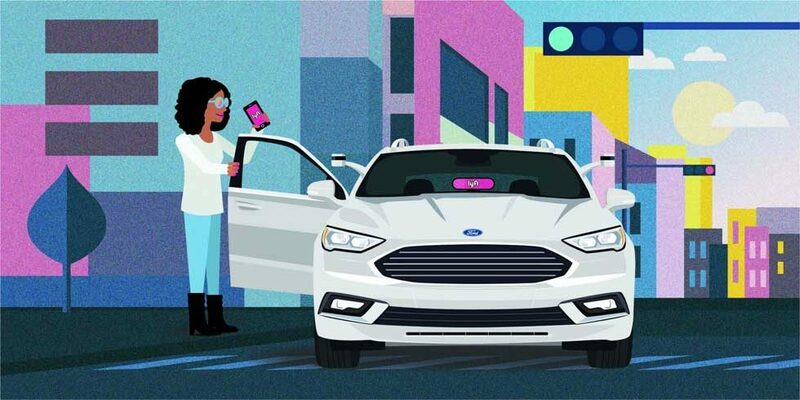 During the build-out of the platform, Ford will be deploying human-driven vehicles on the Lyft network to test the platform. Ford plans to connect its current autonomous vehicles to the Lyft network, but says that it won’t put customers into the vehicles until it can be certain that the tech will deliver a positive experience. Lyft is relatively quiet on the new partnership. Lyft only says that it believes strongly that leaders across industries should work collaboratively to bring self-driving tech to the masses. Its team and Ford’s team will work together to “affect positive change” says Lyft. Ford is working to bring some cool autonomous tech to the future, a recent patent shows an autonomous vehicle sans steering wheel.